Search For "Energy & Resources" Companies in Lancaster, Pennsylvania - Click Here Now! Ambit Energy Is The Leader In Income And Energy! Call Today To Find Out How You Too Can Become Financially Free! 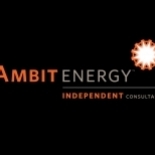 Ambit Energy in Lancaster is a company that specializes in Combination Utilities, Nec. Our records show it was established in Pennsylvania. A. Van Der Wal Beheer B.v.